KINGSPORT — The One Kingsport summit brought together 190 business and community leaders, regular citizens, elected officials and Millennials all with a sole purpose in mind: to kick-start the process of developing a five-year road map for the Model City. But now that the attendees are off their “summit high” and everyone has gone back to their daily lives, what happens next? In the lead-up to the summit, city staff and a mayor-appointed committee came up with seven focus areas vital to Kingsport’s future: arts and entertainment, destination city investments, downtown revitalization, health and wellness, higher education innovation, housing and entrepreneurship. At the summit, participants were broken into smaller groups and brainstormed specific ideas for each focus area. Downtown was of particular interest to many (so much so that three groups of people had to be assigned to it), as were the air quality in town, housing options, the idea of creating a performing arts center in Kingsport and the desire to better court Millennials and Baby Boomers. Arts and entertainment: Lafe Cook; destination city investments: Jud Teague and Frank Lett (with the Kingsport Convention and Visitors Bureau); downtown revitalization: Beverly and John Perdue; health and wellness: Charlie Glass (YMCA executive director); higher education innovation: Keith Wilson (Times-News publisher) and former mayor Dennis Phillips; housing: former mayor Jeanette Blazier; and entrepreneurship: Jeff McCord. The stewards are expected to meet next week to firm up details of the path forward. The idea is that each work group will be comprised of summit attendees (10 to 12) who will meet at least twice monthly over the next four months to come up with specific recommendations to the BMA in March. The recommendations will likely include a rough budgetary estimate. According to the city, the cost of the two-day One Kingsport summit was approximately $25,000. Food amounted to the largest expense at $11,000 — one breakfast, two snack breaks, one lunch and drinks throughout the two-day event. The city distributed $7,000 in “One Kingsport” branded polo shirts to all attendees, along with notebooks and lanyards (another $1,350). The “One Kingsport” banners, balloons, tablecloths and other decorations came to $2,000. Ellen Dunham-Jones was paid $2,500 plus expenses to speak on “Retrofitting Suburbia.” The other keynote speaker — Anthony Domine — did not charge the city a fee for his hour-long presentation. Kingsport used almost every room in the executive conference center at MeadowView for the two-day summit, all at no charge. Kingsport owns the conference center and is allowed a certain number of free days throughout the year. 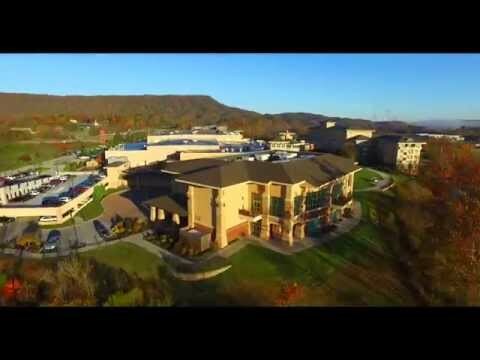 Kingsport spokesperson Heather Cook said Cumberland Marketing provided approximately $5,000 of in-kind services during the summit, including photography and video recording of the event. Five Kingsport organizations have contracted with Cumberland Marketing to create and host the new One Kingsport website, which provides information on local events, entertainment, dining and wellness.